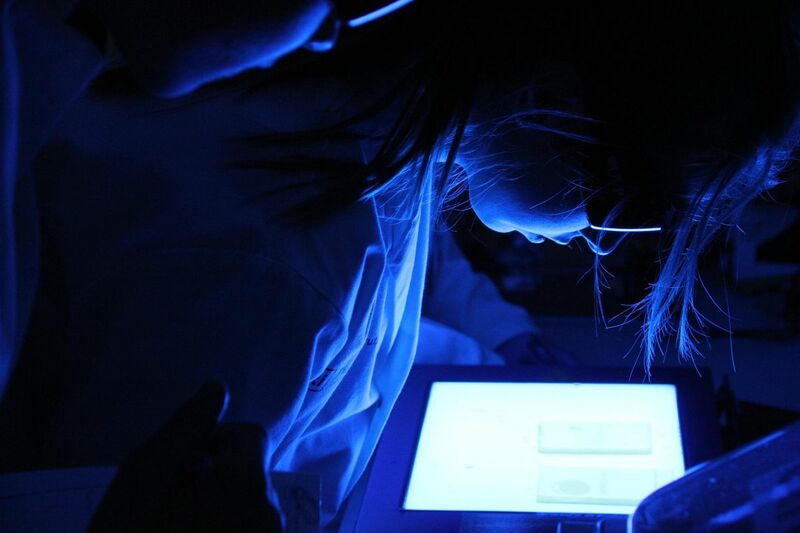 In this genetics workshop, students will extract and test their own DNA using modern molecular biological techniques to compare their phenotype with their genotype. The workshop, developed with the Wellcome Trust to mark Darwin's 200th birthday, demonstrates how we as a species have evolved to lose the ability to taste phenylthiocarbamide (PTC), a chemical found in vegetables such as broccoli. The research has found that chimpanzees have also lost the ability to taste PTC too and, until recently, it was believed to have been an inherited trait from a common ancestor. However, we have since discovered that it has done so by convergent evolution due to the location of this mutation. The students will perform a polymerase chain reaction (PCR), restriction digests and gel electrophoresis in the analysis of their DNA. Please note: This workshop is strictly for 16 - 18 year olds only. This workshop will include a 40 minute unsupervised lunch break. Discounted tickets are available to Ri Members. Find out more about how to join. Refunds can only be issued for tickets cancelled at least two weeks (fourteen calendar days) in advance of the event date. Please note that this supersedes our normal event terms and conditions.